Great socio-economic promise was envisaged for newly-independent Fiji in the 1970s but due to a series of military coups in 1987, 2000 and 2006, this promise has remained unfulfilled. While many scholars explain the coups with reference to ethnic politics, I’d argue that the politicisation of the Fijian military is partly due to the fact that it has developed a self-image as a mediator of political tensions and executor of coups d’état. Unlike the Indonesian military, the Fijian military’s raison d’être wasn’t determined by internal security threats; in fact, it was historically apolitical. And the development of this self-image appears to be an unintended consequence of the Fijian military’s involvement in United Nations (UN) peacekeeping operations. Much of this development has its roots in the Fijian military’s first deployment on a UN peacekeeping operation as part of the United Nations Interim Forces in Lebanon (UNIFIL) in 1978. Participation in UN peacekeeping operations had obvious benefits to the fledgling Fijian nation, including being seen as a good international citizen, the generation of foreign exchange and improved youth employment. 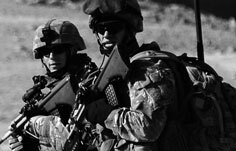 However, rather than staying in Lebanon for a year or so as originally intended, the soldiers served for more than two decades, withdrawing only in 2002. 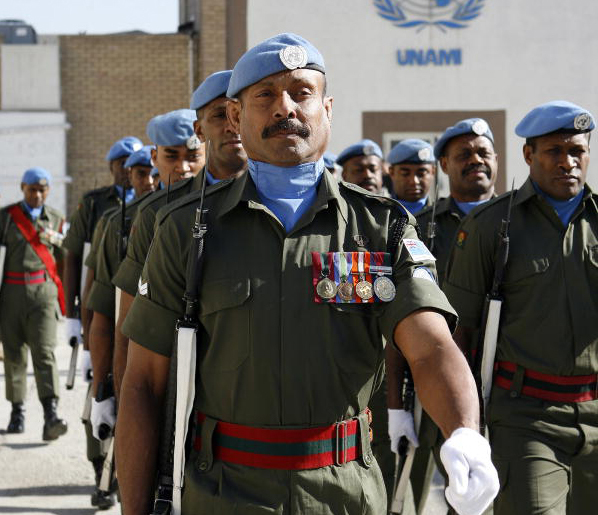 Moreover, the confidence the Fijian military gained from serving with larger nations’ militaries in UN peacekeeping missions has given it an inflated corporate self-image. Participation in UN peacekeeping missions also necessitated that the military increase in size beyond what would be required to defend Fiji. By making peacekeeping the centerpiece of foreign policy, Fijian governments have unwittingly enhanced the military’s capability to intervene in domestic politics. 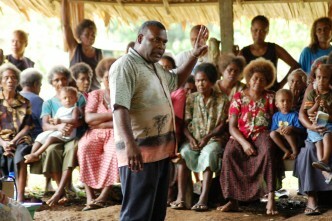 The self-styled mediator role also stems from a patron–client, or chief-warrior (Turaga-bati), relationship that has developed between elite indigenous chiefs (and their associates) and the predominately indigenous military (99 per cent indigenous Fijians). This relationship has its origins in the intensive peacekeeping tempo and swelled military numbers over the last 25 years. The security and development agenda of the current Fijian leader Commodore Frank Bainimarama is also a throw-back to Malaya in the 1950s when, as part of British Commonwealth forces, Fijians were imbued with the notion of successfully quelling Communist insurgents. Many of the top government positions are ‘militarised’. This process of setting apart the military from society was carried into the post-independence period by the ruling elite. The military has now entrenched its authoritarian rule until September 2014 at least. The big question is whether the military will continue to play a key role in Fiji politics after the 2014 elections. Jone Baledrokadroka is a former colonel with 26 years of service in the Fiji military and he recently completed PhD studies in the State, Society and Governance in Melanesia Program at the ANU. Image courtesy of Flickr user United Nations Photo. 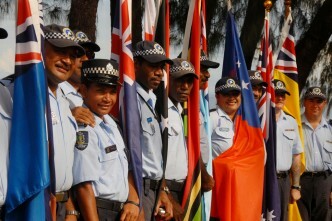 The article on which this post is based is published in the December special volume of Security Challenges on ‘Security in the Pacific arc’. A workshop will be held on 8 February 2013 at the ANU to discuss the special volume. Details and registrations are available here. 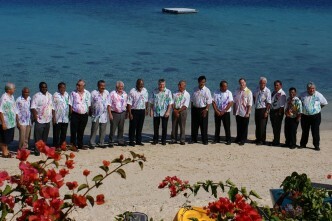 Pacific (sub)regionalism – where to next?